A new skate park in Brick is currently being designed by an engineering firm, and construction is expected to begin in the spring and wrap up later in 2018. 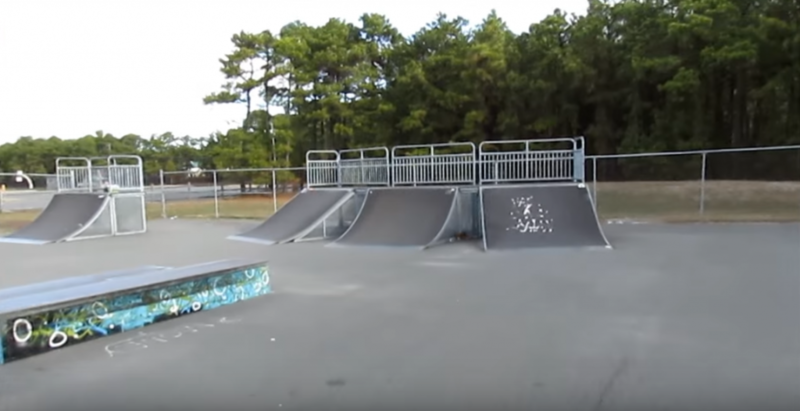 Mayor John Ducey, during a Facebook Live session Tuesday, said construction on the skate park, which will be relocated to Bernie Cooke Park from the Drum Point Sports Complex, will begin in March or April and likely wrap up in October or November of 2018. “It’s in the design process now, and it should be open next fall,” Ducey said. The skateboard park at the Drum Point sports complex, which has often been subject to litter and some vandalism, will be closed down after a new, state-of-the-art park is built across town. Bernie Cooke Park is located behind Lanes Mill Road. “It’s going to be state of the art,” Ducey said earlier this year, announcing the news of the new park, adding that the its more visible location will cut down on some of the issues that were experienced at the Drum Point location. Like all of Brick’s newly-renovated parks, Bernie Cooke will be equipped with security cameras. But most importantly, the skateboard area itself will feature all new equipment, replacing the aging and rough surfaces at Drum Point.